The Museum of World Culture Göteborg, Sweden, opens Destination X on April 29,2010. 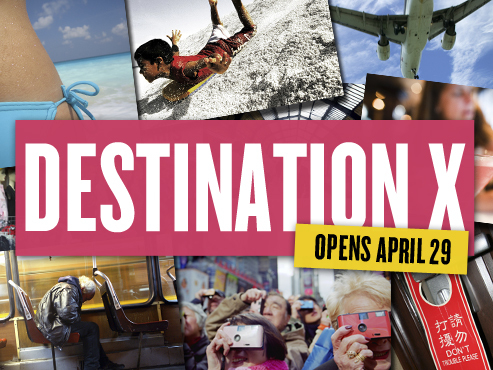 Destination X is an exhibition about people’s motivation to move around in the world. It’s about traveling out of neccessity, curiosity, lust and boredom. About tourists and migrants, global families, business travellers, refugees and adventurers. A grand mix of objects, contemporary art, film, photo and personal stories about the dream of a better life - elsewhere. The exhibition continues until December 2011. My piece, Sacred Wands, will be there. This entry was posted on Tuesday, April 6th, 2010 at 9:21 pm	and is filed under Press. You can follow any responses to this entry through the RSS 2.0 feed. You can leave a response, or trackback from your own site.